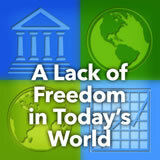 A dedicated unit on citizenship, democracy, totalitarianism, human rights abuses, technology, and more. 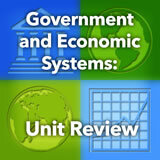 Government and Economics unit contains 9 learning experiences. Students review the Bill of Rights in the U.S. Constitution. 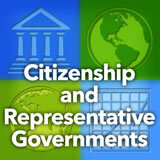 Then they consider what citizenship is and explore the rights and responsibilities that are part of U.S. citizenship. Next, they research and then compare and contrast the rights and responsibilities of citizens in another country with those in the U.S. Finally, students choose what they think the most important rights and responsibilities should be for "global citizenship." 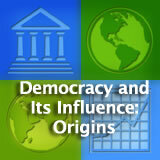 Students consider what they know about democracy and explore the historical origins in Greece. 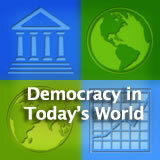 They consider the influence of democracy in the United States and France. Then they describe limited governments and explain the reasons for limiting governmental control. Finally, based on a Churchill quote, they explain whether democracy is the best form of government. Students begin by learning what political rights and civil liberties are. Then they define additional terms that elaborate on those rights. Next, they investigate a specific democratic country to see how it rates in terms of political rights and civil liberties. Finally, they develop a list of questions they might ask to find out more about how well a democracy is functioning. 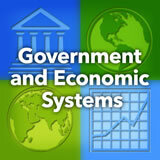 Students distinguish between limited and unlimited government, identifying the problems with unlimited government. 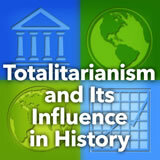 Then they learn about totalitarianism and its approach to government. Next, they explore the form totalitarianism took in the twentieth century: communism and fascism. Finally, students explain how both communism and fascism are totalitarian in nature. 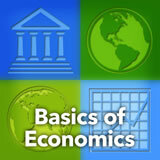 Students are introduced to the basics of economic sectors, economic development indicators, and types of economic systems. They compare and contrast three countries with different types of economies, noting various economic indicators. Finally, they analyze the results of their findings. 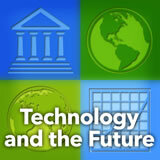 Students begin by thinking about the ways that technology affects their own lives. Then they learn about how technology has improved communication around the world—between individuals, businesses, nations, and cultures. Next, students examine ways that technology has improved the environment. Then they learn about ways that technology has also harmed the environment and they consider ways to decrease the negative impact. Finally, students consider what life will be like in the future based on the advance of technology. Students are introduced to the idea of universal human rights and learn the history and components of the 1948 United Nations declaration. 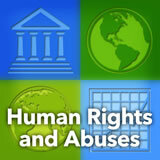 In small groups, students research and report on human rights abuses in a specific country. Finally, students write a letter to a human rights organization describing the abuses they have learned about in their research. including the Government and Economics Unit.